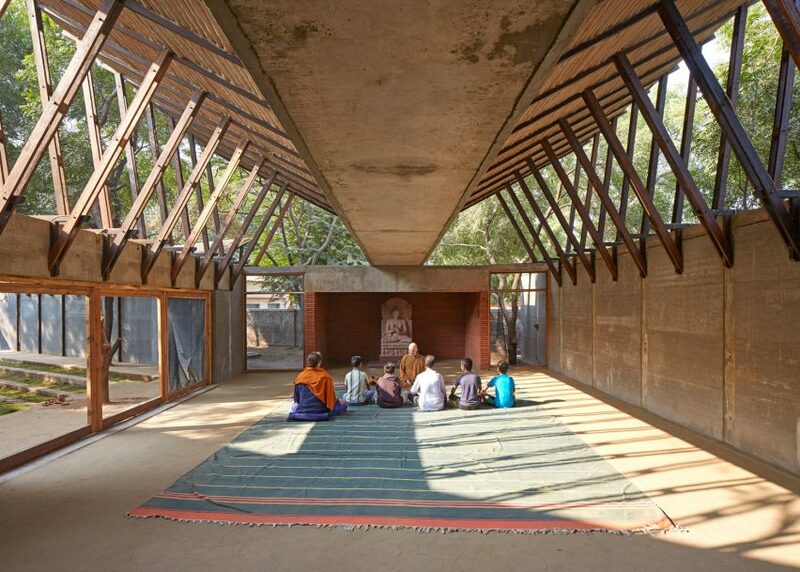 Volcanic stone dust was used to build the walls of this Buddhist education and meditation centre, designed by Sameep Padora & Associates for a woodland clearing in rural India (photos by Edmund Sumner + slideshow). 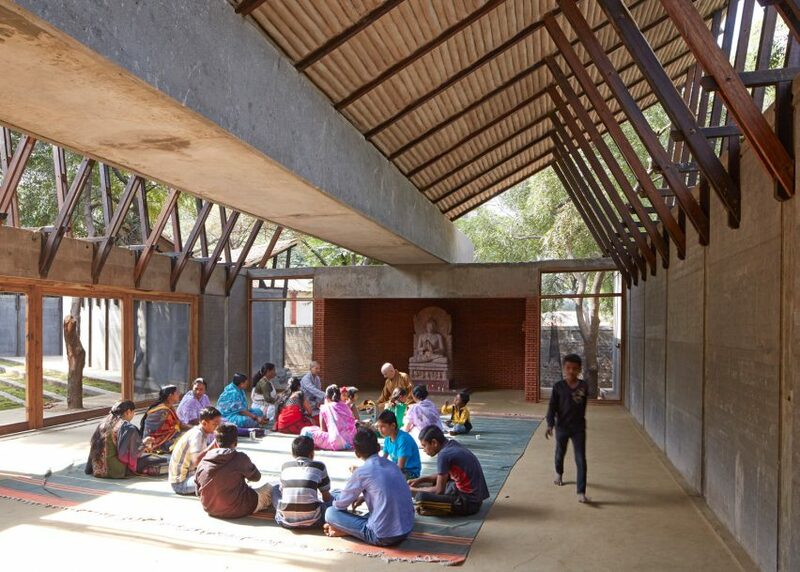 Sameep Padora's architecture firm wanted to revive outdated building traditions in the construction of the Buddhist Learning Centre, also known as Jetavan, so chose a palette of natural materials to suit. 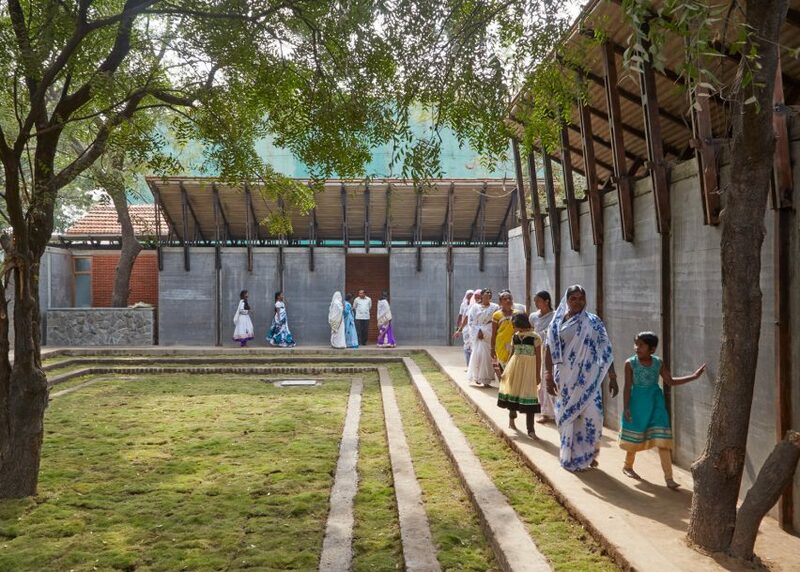 The six buildings that make up the complex all feature walls of rammed basalt dust – a material created by combining the leftover stone dust from a nearby quarry with waste fly ash from a local factory. 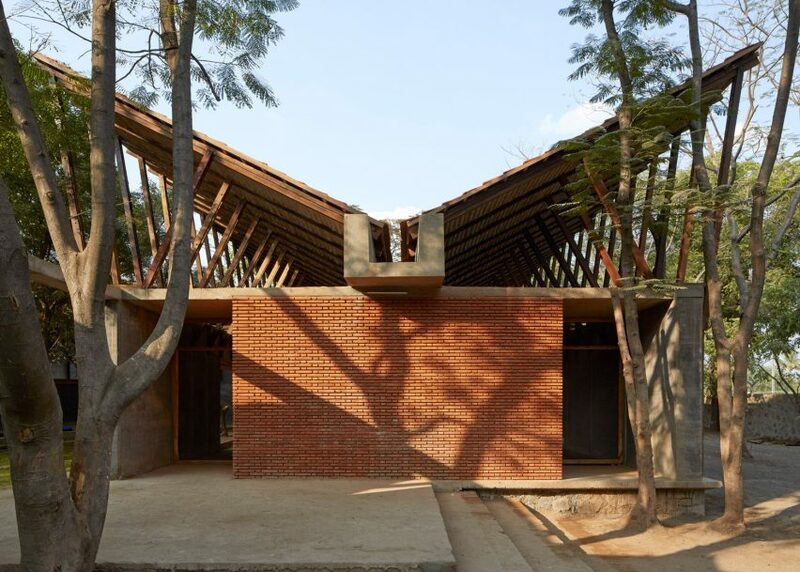 Wood repurposed from old boats provide the roofing framework, topped by clay tiles reclaimed from demolished buildings. Other features include a mud and dung floor – believed to offer antiseptic properties – and a insulating substructure made from mud rolls, which were created from recycled gunny bags. 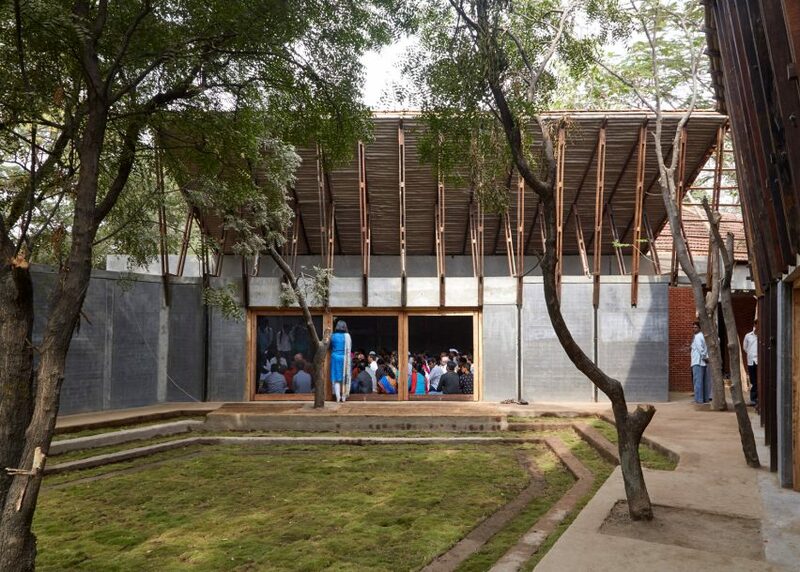 "Our approach looks to extend the idea of the regional paradigm whilst separating it from the pervasive image of what defines the local," said the studio. 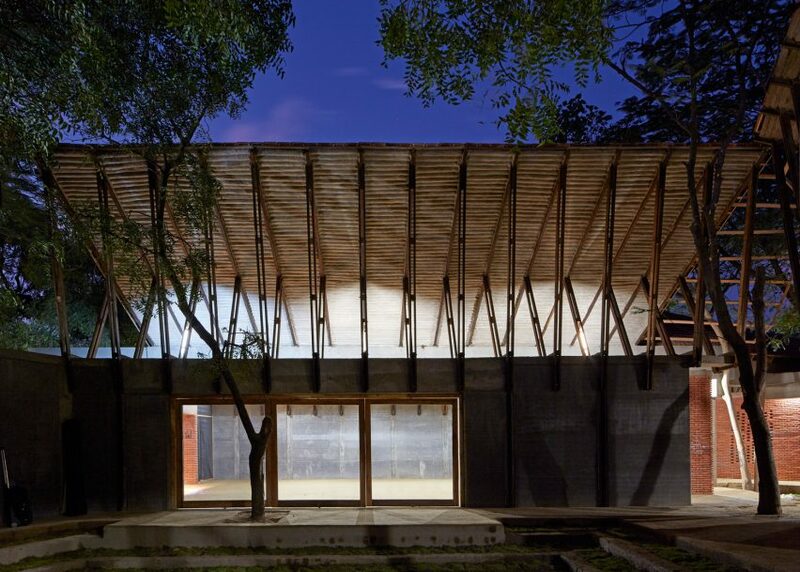 "The construction process also sets out an approach that looks to further construction techniques, based on local materiality not necessarily used natively but appropriate for its context." 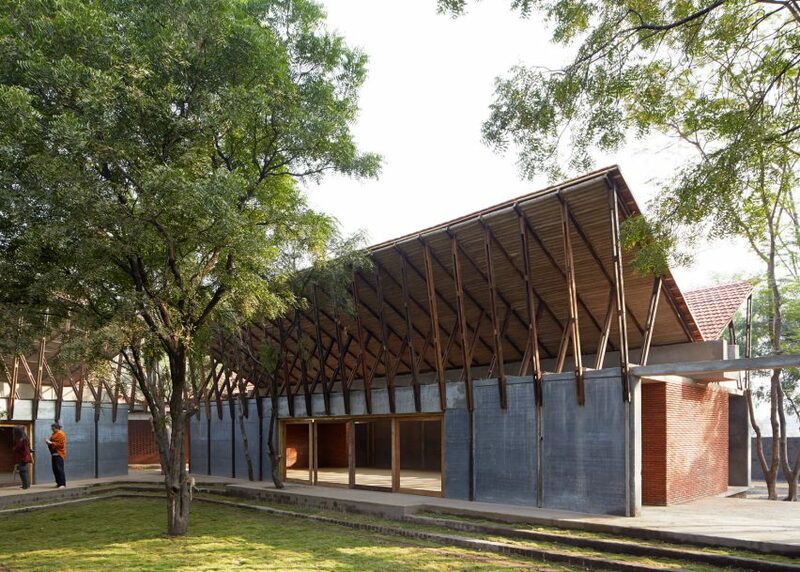 The complex is located in a forest in India's Maharashtra region. 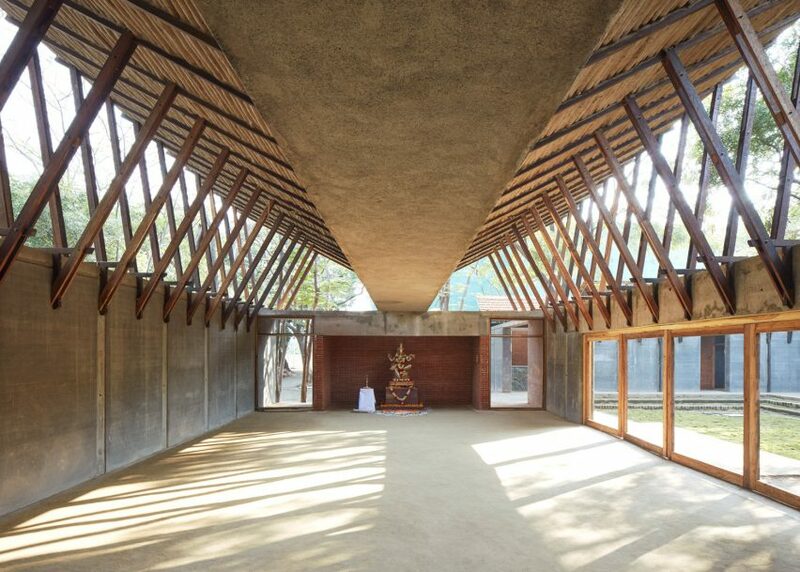 Designed to serve the local Dalit Buddhist community, it offers spaces for meditation and yoga, as well as academic and vocational training. 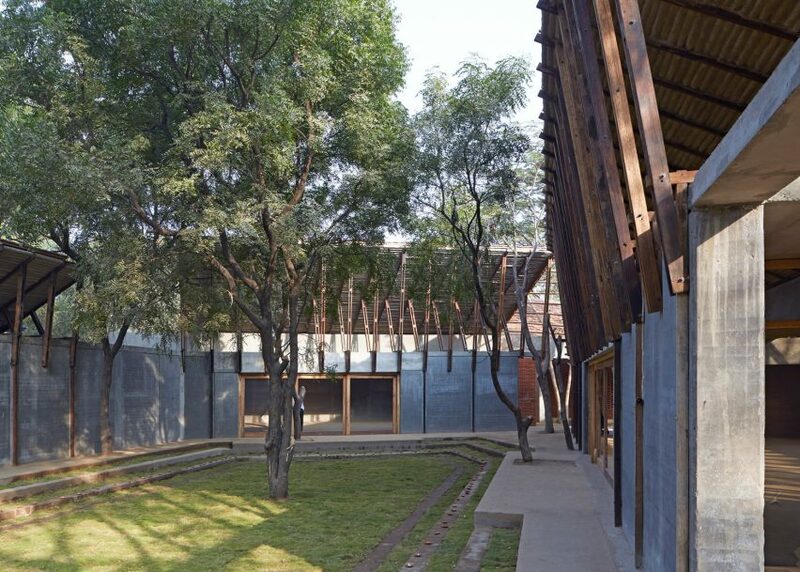 By dividing the facility up into six separate buildings, the architects were able to prevent any trees being felled during construction. 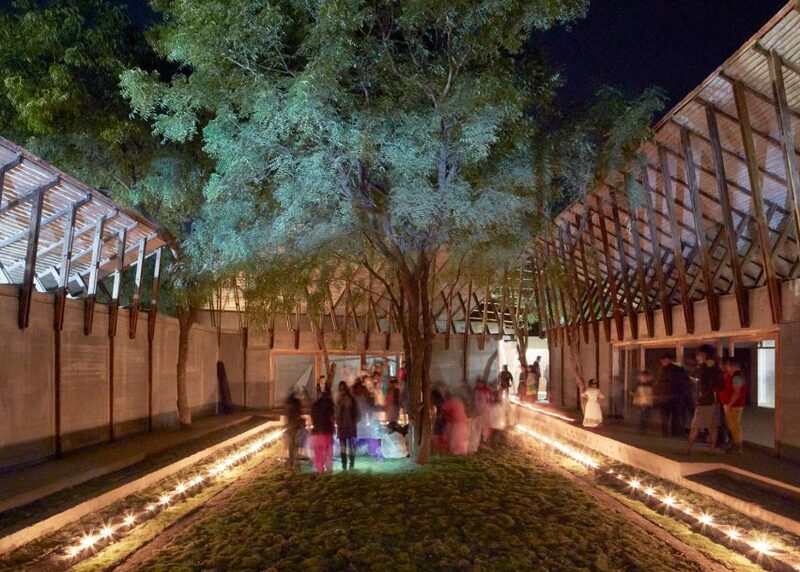 These buildings are arranged around two courtyards. Instead of typical gables, the buildings all feature V-shaped roofs. This makes it possible for occupants to look out at the trees and sky during activities, and enables cross ventilation. 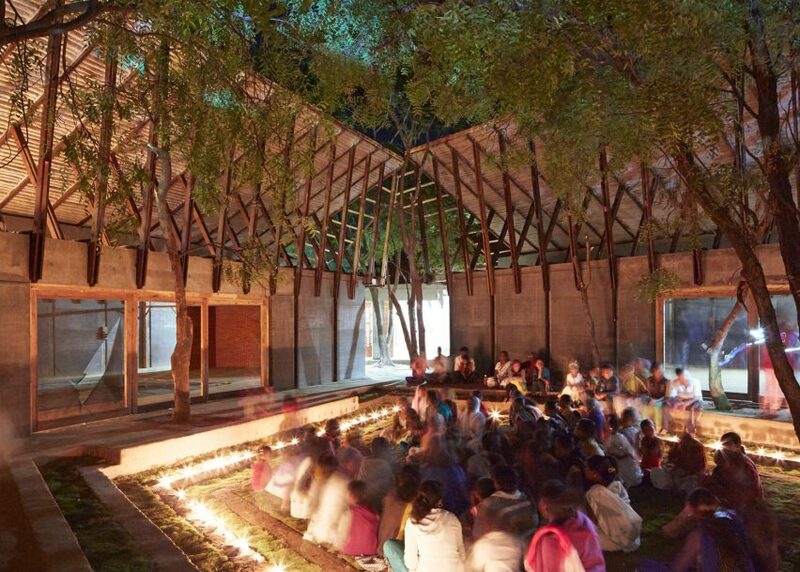 "By inverting the roof profile, with a centre valley in the middle and rising edges, the interior spaces were visually connected with the foliage outside," said the team. 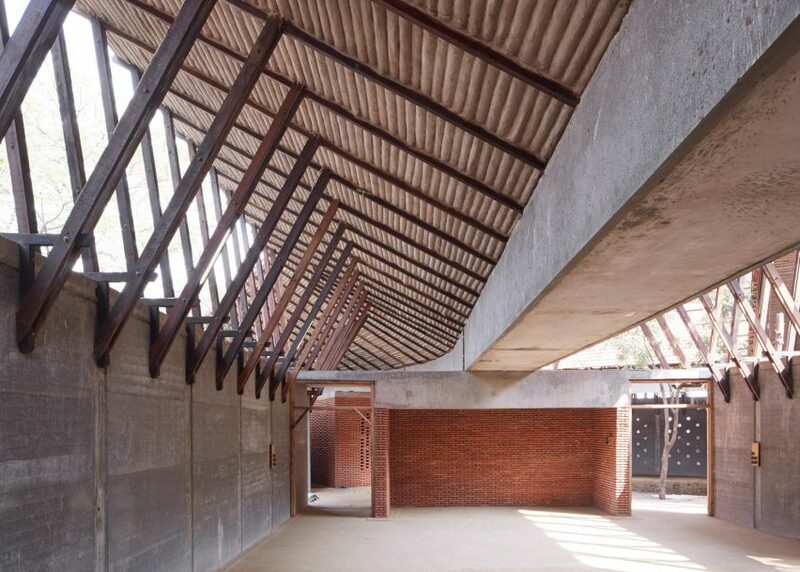 "The separation of the roof from the walls, while providing much needed cross ventilation, also scales the building towards the courtyard." 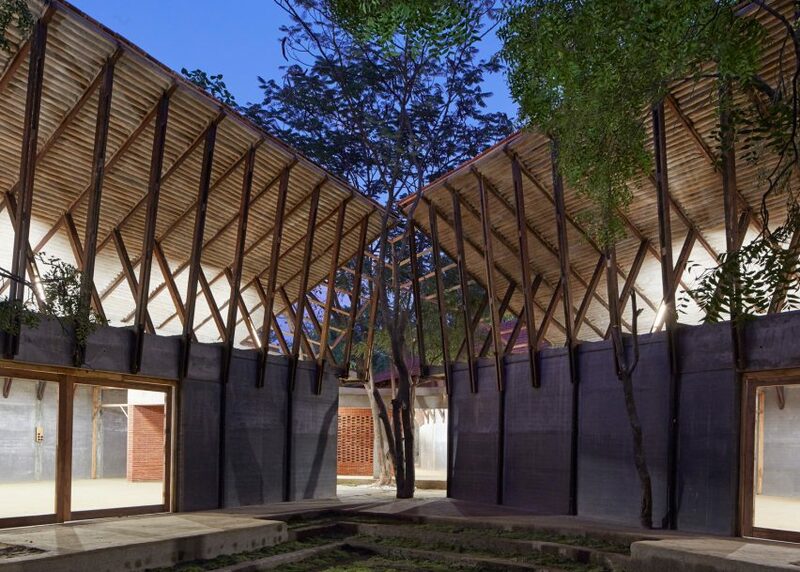 The buildings were constructed with the help of local artisans, while the land was donated by a local sugar factory owner. Sameep Padora & Associates is based in Mumbai. 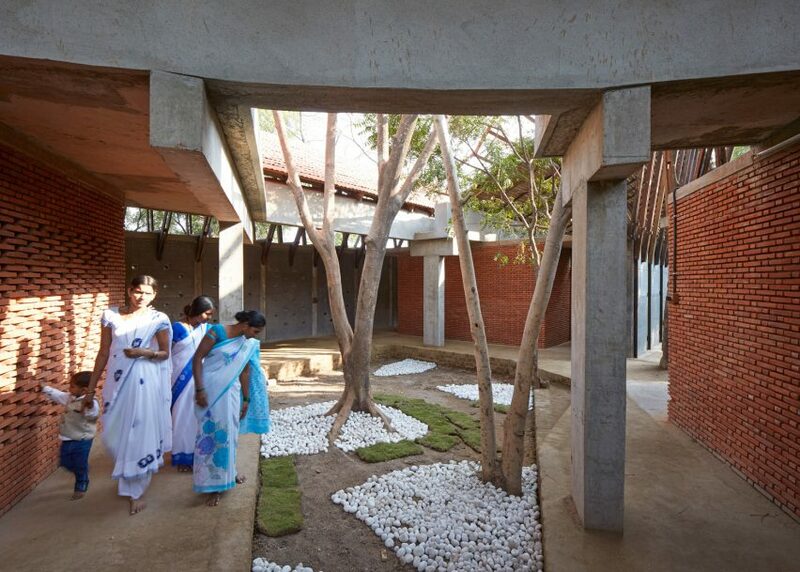 Other projects by the studio include a house made up of stacked horizontal volumes and a small temple. Images are by British photographer Edmund Sumner, who also recently shot a cloud-inspired nursery by Junya Ishigami and Kenzo Tange's 1960s St Mary's Cathedral in Tokyo.